Reside within a geographic area specified by Little League International for the league. Go to school within that specified geographic area. The League boundaries for TRLL, as determined by Little League International, are described below. If the player lives with the TRLL boundaries, the player simply proceeds through the normal registration process to register. If the player does not live within the TRLL boundaries, but does go to school in the TRLL territory and wants to play in TRLL, the player must complete a waiver form. Players looking to register using the school waiver process should contact TRLL via 3riverslittleleague@gmail.com. TRLL’s boundary “starting point” is at the farthest most northwest corner of Eagle County. Travel east along the county line which will encompass the Towns of McCoy and Bond. Continue until the farthest most northeast corner of Eagle County. Head south along the eastern most Eagle County line to the southeastern most corner of Eagle County. This would encompass the Towns of Basalt, El Jebel, Gypsum, Eagle, Edwards, Avon, Vail, and Redcliff and surrounding areas of Eagle County. 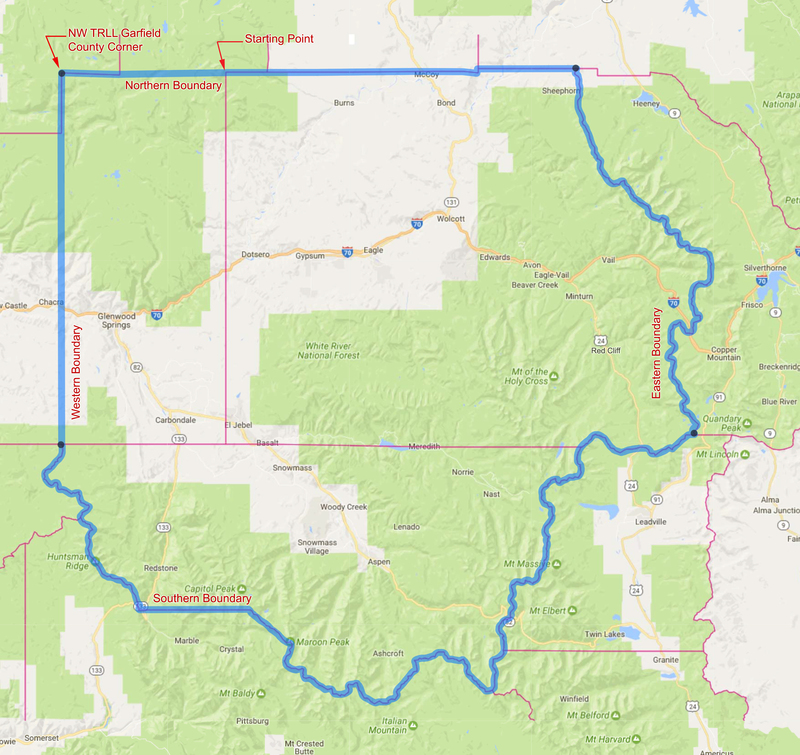 Starting at the farthest southeast corner of Eagle and Pitkin Counties, head west along the entire Pitkin County line until it hits the southern edge of the Garfield County line (adjacent to Mesa County). This would encompass the Towns of Basalt, Snowmass, Aspen, Redstone and surrounding areas. At this junction head due north through Garfield County over the top of Bald Mountain and onward near I-70 Mile Marker 111 until the corner of the northwest TRLL Garfield County line is reached. This would encompass the Town of Carbondale, City of Glenwood Springs and surrounding areas. At the northwest corner of the TRLL Garfield County line head due east through Garfield County between Shingle Peak and Sheep Mountain. When the farthest most northwest corner of Eagle County is reached; otherwise known as the “starting point”, the TRLL boundary ends/closes. This area includes Eagle County, Pitkin County and the east end of Garfield County. If you live in the central and west end of Garfield County, please contact the Colorado River Valley Little League at www.crvbaseball.com.